Woman In Digital: Mix-Ins or Shake It! In 2012, Jollibee launched the Jollibee Coffee Float, one of my favorites from their line of summer beverages. Then it was followed by Jollibee University Floats. Every season there's something new to spoil us. About two weeks ago or so, Jollibee launched this year's summer treat. A perfectly cold and sweet dessert especially now that we already feel the scorching heat of the sun. 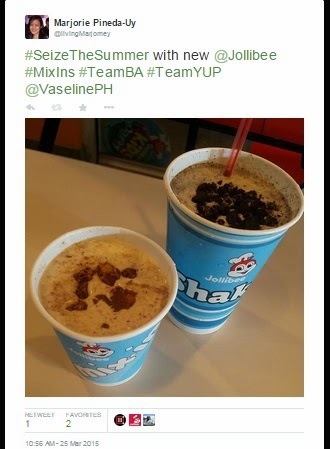 Jollibee now has Reese's Mix-ins and Cookies 'N Cream Shake. 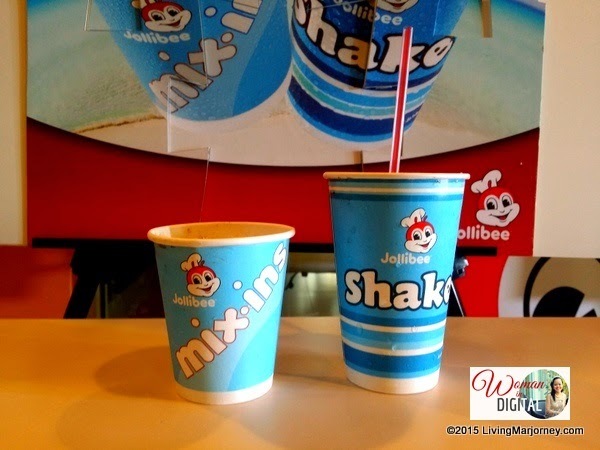 Jollibee Mix-ins is blended with my favorite Reese's chocolate and Sundae. Who wouldn't love Reese's? Hershey's Peanut Butter Cups, creamy milk chocolate with peanut butter filling. 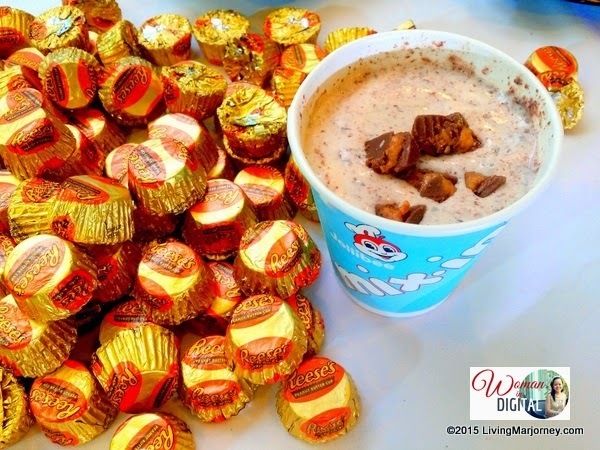 Jollibee made a brilliant innovation and come up with Reese's Mix-ins. 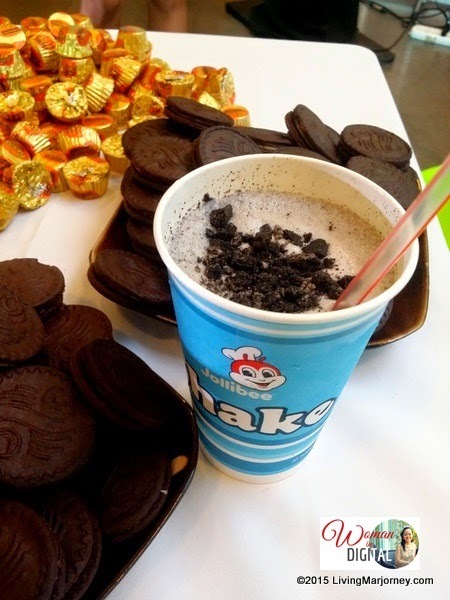 Cookies 'N Cream variant for Jollibee Shake offers the perfect combination of vanilla soft serve and crushed cookies. Between the two... I love both the Mix-ins and Shake, yay! I suddenly remember Jollibee Mushroom Pasta and the hash brown burger made available in 2012. Anyway, the new Jollibee Cheesy Bacon Mushroom Yum goes well with Jollibee Mix-ins and Shake. These summer treats are available at all Jollibee stores nationwide for only Php45.